Known as the best-planned city in India with its creatively-designed ‘green’ spaces and quirky landmarks, Chandigarh serves as the capital of the states of Punjab and Haryana. 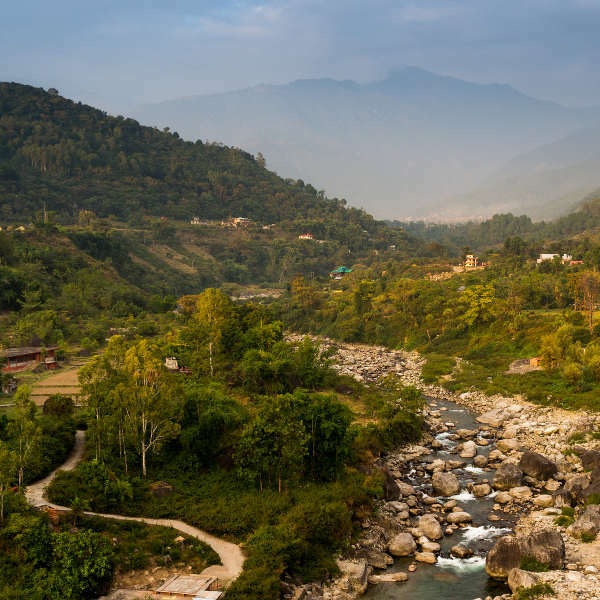 With a population of well over 1 million people, Chandigarh is one of India’s top tourist destinations, attracting thousands to its natural features and conceptual spaces each year. Cheap flights to Chandigarh are now available for a limited time only, so book your flight today and experience the wonderful flavours and striking architecture of this city! Chandigarh is home to Chandigarh International Airport (IXC), situated 30 minutes from the city centre and is easily accessible by car. Take a break from the busy streets of the city centre and marvel at the fascinating stone sculptures in Rock Garden. Bring a blanket and relax along the green banks of Lake Sukhna. Hop on a bicycle or tour bus and make your way between the major design attractions of the Capitol Complex, the Government Museum and Art Gallery and Open Hand Monument. Foodies are in for a treat with the many different food varieties typical of northern Indian cuisine. Dahi Bhalla and Malai Kulfi are local delicacies you cannot miss! The best time to visit Chandigarh is in autumn (between November and March) when the weather is warm and pleasant, making it an ideal time for sightseeing. The Chandigarh Carnival in November brings pomp and ceremony to the city, where music and dance shows form the crux of this lively event. In February you can catch The Festival of Gardens, with all the colourful flowers in full bloom. Avoid travelling in May and June as scorching temperatures and hot winds create an unpleasant atmosphere. As India’s first planned city, Chandigarh is the pinnacle of organisation, with good hotels, large department stores and air-conditioned buildings. While some people find the non-traditional atmosphere disappointing, the locals have certainly embraced the Western-influenced modernity. Chandigarh is a magnet for young, ambitious Indians with a passion for glamorous living. Chandigarh is famous for its architecture and urban design, featuring work by Le Corbusier, Jane Drew, Maxwell Fry and Narinder S. Lamba. You’ll find the largest of Le Corbusier’s Open Hand monuments here, standing as a 26 meter high symbol of peace and reconciliation. 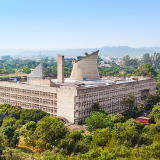 The Capitol, the Secretariat, the High Court and the Legislative Assembly buildings are all highly regarded examples of Chandigarh’s impressive architecture. 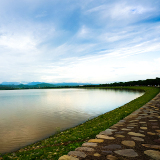 For nature-lovers, Chandigarh has some beautiful outdoor attractions too. 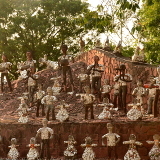 The Rock Garden is a popular place to visit, and covers several acres of land with hundreds of sculptures set in interlinking courtyards. Sukhna Lake is a great place for an afternoon stroll, run, or picnic, and the small amusement park and paddleboats provide plenty of entertainment for the whole family! Compare several airlines and book your cheap flights to Chandigarh online at Travelstart! With one of the lowest crime rates in the country, Chandigarh is considered to be an extremely safe city. Nonetheless, keep your wits about you and keep your eyes on your belongings, particularly in crowded places where pickpocketing is likely to occur. If you’re travelling with extra money and valuables, rather keep these locked in your hotel safe while you’re out for the day. To avoid having an upset stomach, stay away from questionable street food. There are plenty of pharmacies located around town, so should you need any medication you’ll easily be able to get some. Stick to bottled water and stay hydrated during the day. Chandigarh provides many accommodation options to suit every budget. In the market area of Sector 45 you can find budget options within the narrow streets and alleyways. Bed-and-breakfasts are also widely available. 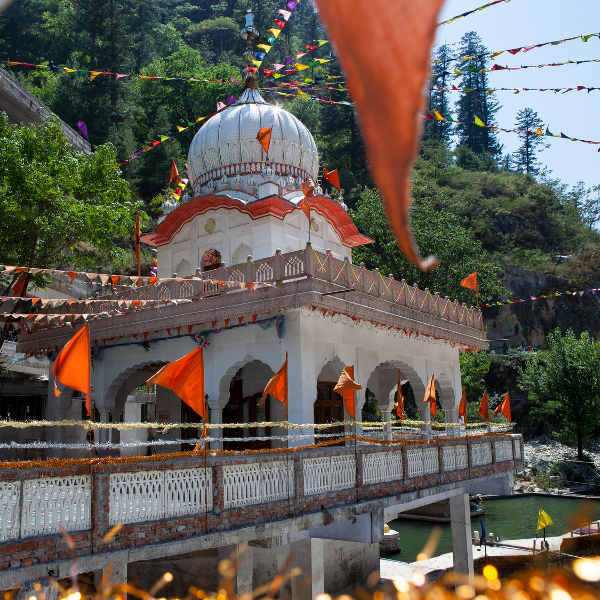 It is also possible to find free food and accommodation at one of the many gurdwaras in the city. Upmarket hotels can be found near the Rose Garden, around Sectors 17 and 22. These hotels offer modern facilities, including multi-cuisine restaurants, swimming pools and money changing facilities. 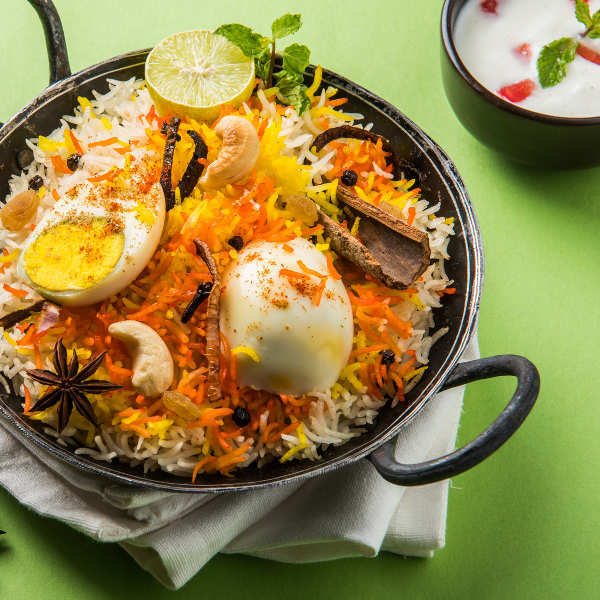 Take a walk around town and you’ll find yourself amongst popular bars, restaurants and breweries where you can sample some of the best Indian cuisine and beer. If you’re in need of some retail therapy, there are plenty of shops catering to all budgets and styles in Sector 17. Other popular shopping locations include Sector 22 and 35. For some hard bargaining, head down to the Azad Hind Market in Sector 22. Getting around in this city is a piece of cake with so many options at your disposal. The CTU bus operates within the city and runs from 6 AM to 10PM. A great way to see the city’s main attractions is via the Hop On/ Hop Off bus departing from Hotel Shivalikview in Sector 17 near the Bus Terminal. Taxis are easily available and are a convenient way to get around the city. There are many private taxi services available in the commercial markets of each Sector. Auto rickshaws can be picked up around bus terminals, train stations and auto stands. They are locally known as “jugnoo” and you’ll need to negotiate a fare before getting in. Cycle rickshaws are great for short distances and you can flag one down at any point along the road. For the more adventurous traveller, rent a bicycle or join a tour and cycle around the major sights on comfortable, well-maintained bicycles.